Talk about a room with a view! 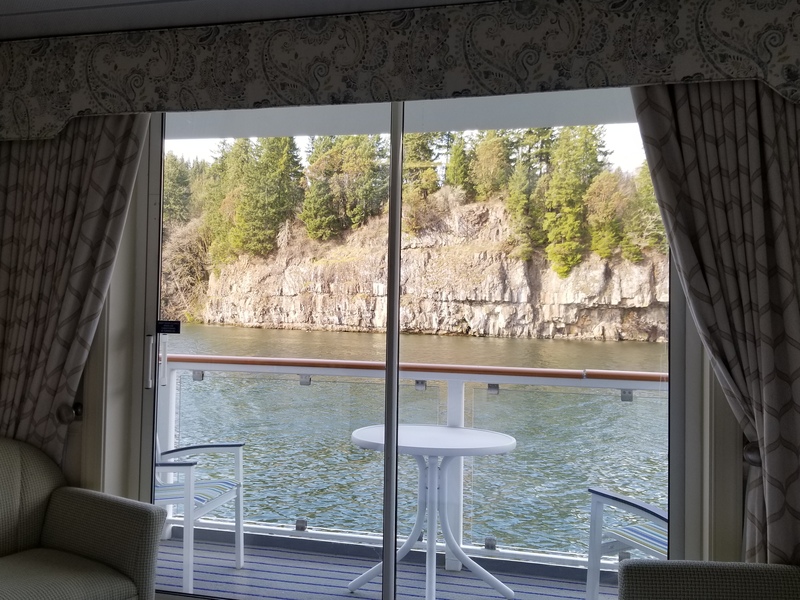 A Best of the Northwest staff member was lucky enough to enjoy a cruise up the Columbia River aboard the brand new American Song. What a stunning way to explore the beautiful Pacific Northwest! 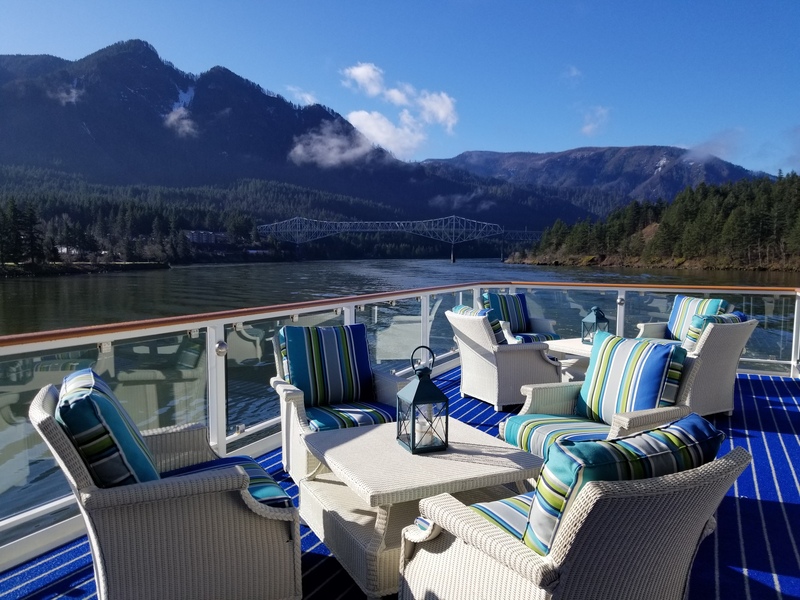 Taking all the way from Astoria to Clarkston, Idaho, the cruise lets you enjoy the many beautiful views as you pass through the Cascade mountain range. 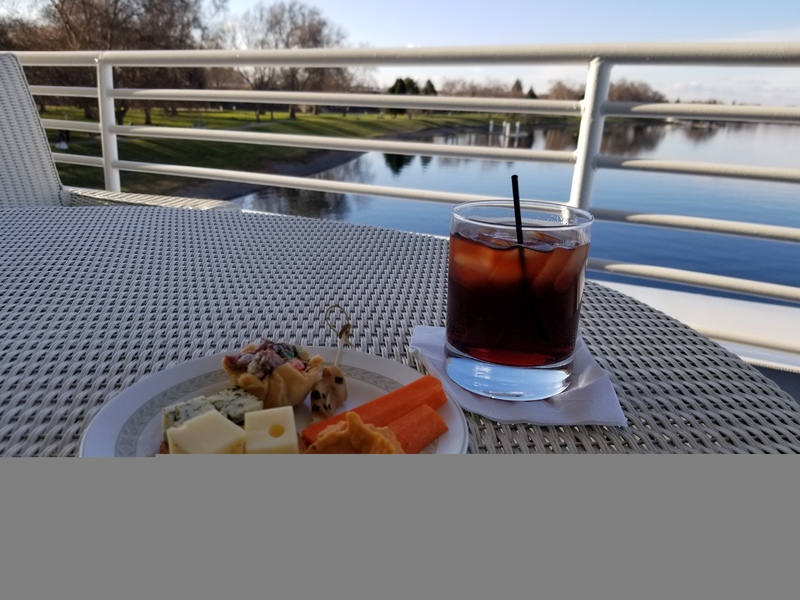 Imagine yourself kicked back atop the viewing platform, a glass of local wine in hand, feet up, blue skies overhead, and a view of the magnificent Columbia River passing peacefully by. No grocery shopping, no annoying commercials, no to-do list. 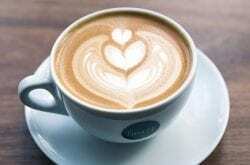 My blood pressure is dropping even as I think about it. Enjoy an afternoon snack or cocktail as the world slowly passes by. 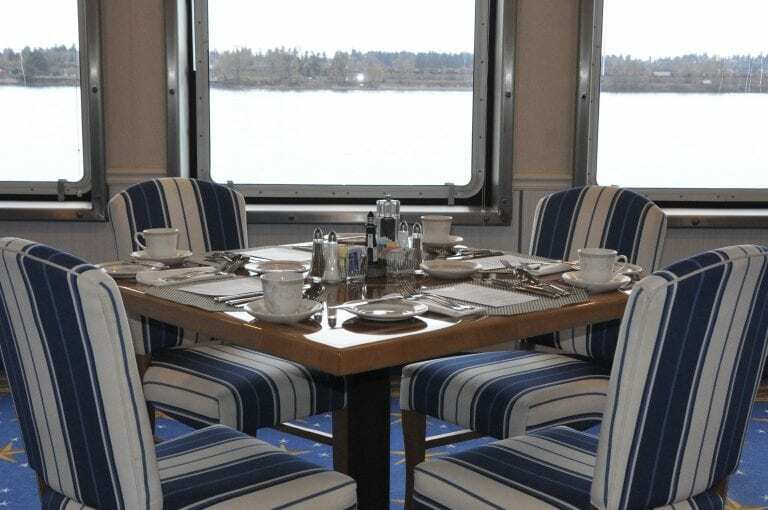 The American Song is the newest small cruise ship taking passengers on a leisurely cruise up the Columbia River. Following the trail of Lewis & Clark, it is a history-buff’s dream cruise. An ever-changing landscape outside your window makes for a cruise unlike the big cruise lines out on the ocean. On a river cruise like the Columbia, it feels much more personal, much more engaging, and much more rewarding. The varied landscape of the Columbia River as you pass through, from lush greenery, towering waterfalls, and soaring cliffs, slowly changes to geological wonders, curving hills dotted with windmills, and high Cascade mountains, is always engaging and fascinating. Ah…days of not having to cook a single meal! 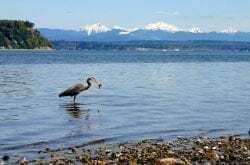 With stops in Astoria, Oregon to Clarkston, Idaho and many in-between, you can get a real feeling for the varied landscape and historic sites along the Columbia River. Follow the trail of Lewis and Clark as they explored the stunning scenery of the Pacific Northwest. Sit back atop the viewing deck with a glass of local wine or a craft beer as you float past beautiful sites from a different perspective such as Multnomah Falls, Hood River, The Dalles, and Clatskanie. 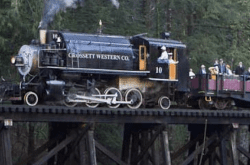 Plan an off-shore excursion to Pendleton to experience the wild wild west, to Mount St. Helens to see the volcano up close as the landscape is still recovering from the mighty eruption, or tour our nation’s history at Fort Clatsop or Fort Vancouver. Being a life-long resident of the Pacific Northwest myself, it is easy to take many of these sights for granted. It is not until we are traveling with a friend or relative from out of state or out of the country that we really see it with fresh eyes and appreciate the beauty that is all around us in the Pacific Northwest. 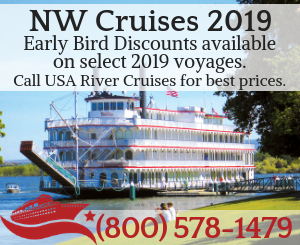 If you are interested in a Columbia River cruise, contact the Northwest specialists at USA River Cruises . 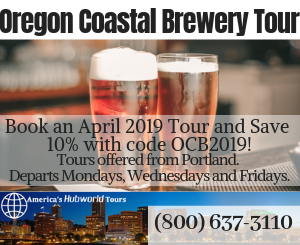 If you are interested in exploring one of the off-shore excursions yourself, try America’s Hub World Tours who have put together local tours with guides for travel spots all around the Pacific Northwest.